Every human has numeric vibration based on that person’s birth date and full name. Discover what your numerology profile says about you! The month, day, and full date of a marriage all have a unique significance for the couple. Find out what yours says about you and your spouse! A sports jersey number carries a certain vibration that can indicate or impact an athlete’s performance. Discover what your jersey number reveals, or choose the best number for you! The placement of the stars and planets on your birthday have an effect on your personality, behavior, and life. Discover what your astrological sign says about your personality! I’m so grateful you’ve come to my website, and I sincerely hope you find the content here meaningful and clarifying on your journey. I first discovered the metaphysical science of numerology in 1965 when I picked up the book Numbers As Symbols of Self Discovery by Richard Vaughn. From the first page, I knew I had rediscovered my life’s purpose. And I feel grateful that I have now been able to practice numerology daily for the past 50 years, reading hundreds of books on the subject, running numerology charts for an unnameable number of celebrities, politicians, and historical figures, and working with hundreds of individuals and groups. “Western” numerology, which I practice, was founded by Pythagoras, the renowned Greek mathematician and philosopher who lived in 500 B.C. Although evidence has been found that the practice of numerology even predates Pythagoras, The Pythagorean method is the most accepted process used by modern-day numerologists, and it is what I use to understand and bring light to the personal qualities and traits of the individuals I work with. This site offers many tools to discover and play with numerology and the other mystic sciences. What does your favorite Sports Jersey foretell? Find out what your marriage date reveals! Discover your numerological compatibility with those around you! CosmicMates – Calculate Your Numerological Compatibility! 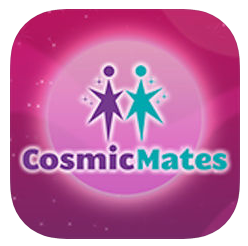 Cosmic Mates easily calculates your numerology chart and runs compatibility evaluations on your relationships. You can learn about your personality & potential destiny, discover your compatibility with a partner, family member, or friend, and compile a list of your relationships & their ratings. 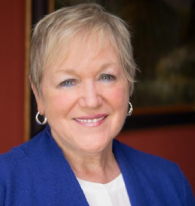 Subscribe to Sally's newsletter to get monthly numerology news & insights.